Since 2015, friends of the Academy of St Martin in the Fields – including many of the world’s greatest classical musicians – have been interviewed for our series of podcasts exploring the work and music at the heart of the orchestra. The episodes feature exclusive interviews with the likes of Sir Neville Marriner, Lady Marriner, Joshua Bell, Julia Fischer, Murray Perahia, Edgar Meyer, Steven Isserlis, Martin Fröst, Simon Callow and Sir David Attenborough, as well as Academy players and music clips from the orchestra’s celebrated back-catalogue of recordings. Hear all ASMF podcasts on SoundCloud or iTunes. In a fascinating episode of the ASMF podcast series, Ben Eshmade meets Jeremy Denk, one of America’s foremost pianists, who offers an insight into his life as a busy concert pianist, delves into the repertoire of Mozart, and reflects on the art of music-making. The winner of a MacArthur “Genius” Fellowship also talks about his love of writing and about studying at Indiana University – a link he shares with Academy Music Director Joshua Bell, who also appears in this podcast episode. 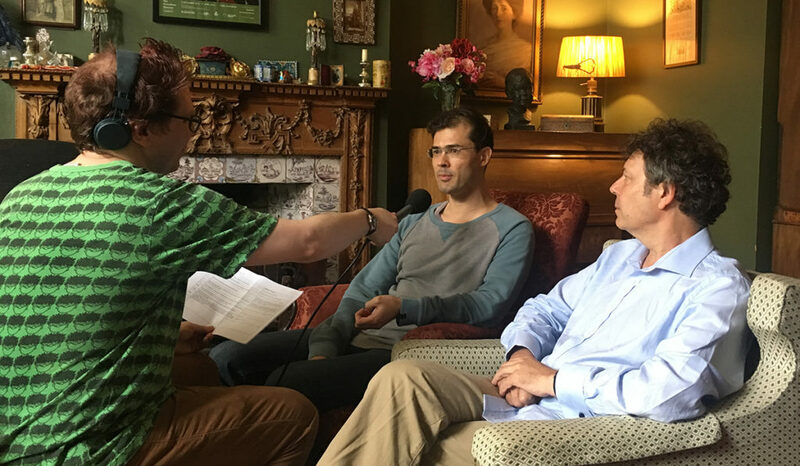 Hear from two of the world’s most in-demand musicians in this podcast about the new Overture for Violin and Orchestra, which has been specially written for the Academy of St Martin in the Fields and Music Director Joshua Bell by composer and double bassist Edgar Meyer. Ben Eshmade talks to members of the Academy Chamber Ensemble in the group’s 50th anniversary year. Get a behind-the-scenes insight to life with this world-renowned ensemble, as musicians Tomo Keller, Stephen Stirling, Stephen Orton and Lynda Houghton discuss the group’s rehearsal techniques, favourite repertoire and most memorable on-tour moments.